After 1.5 months of cold and rain, Susan and I were delighted to have a sunny day (at last), just in time to attend a music concert at the Parc Royale in Brussels, just in front of the Belgian Royal Palace. 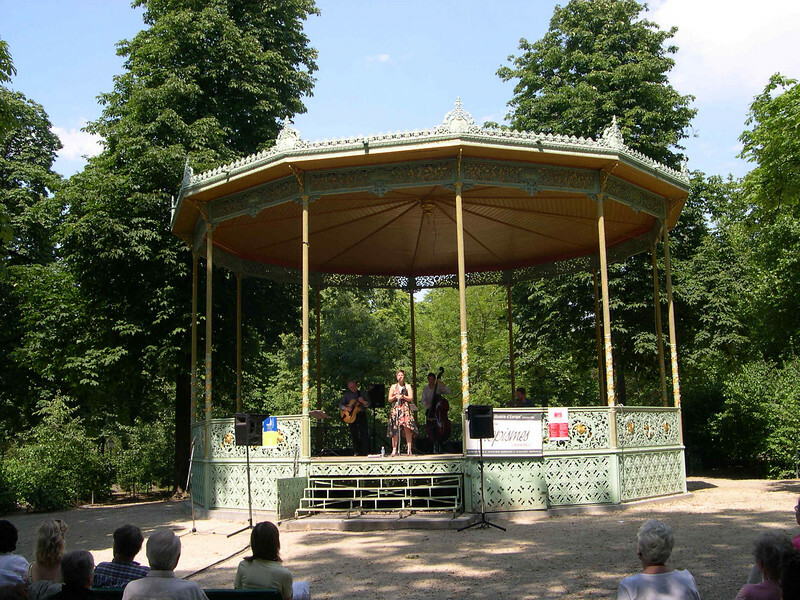 The concert was at a beautiful antique cast iron band stand in the Parc, with a jazz quartet (singer, classical guitarist, bass and drums) performing selections from Cole Porter and Gerschwin. Two Americans in Brussels beats an "American in Paris" hands down.